Recently I attended an event put on by a local farm in Kingston, New Hampshire. While there, I came across an organization called Wildlife Encounters. This New Hampshire-based program provides education and outreach through live animal interactions. As I observed the various animals, one interesting little critter caught my eye. Quickly running back and forth within an enclosed area, was a small armadillo about the size of a softball. There are over twenty species of armadillos, all of which, aside from one, live in Latin America. These omnivores can vary in size and characteristics, but have one very distinct feature in common. They are the only mammal covered with a shell. This unique adaptation which provides protection from predators, is where they get their name. Armadillo translates to “little armored one” in Spanish. This armor is made up of boney plates that cover most of their body including the back, head, legs, and tail. The armadillo on display through Wildlife Encounters was a three-banded armadillo named Athena, after the greek goddess of war who is often depicted in armor, of course! The three-banded armadillo is native to the South American rainforest, particularly Brazil, Argentina, Bolivia, and Paraguay. They are approximately nine inches long, weigh about three pounds, and consists of a light brown color. This type of armadillo is unique in that it is the only species that can curl itself into a complete ball. The armadillo will often leave a small opening when curled up and will sharply close around any predator claw or snout that attempts to explore the opening, making this a powerful defense mechanism. They also have the ability to run very quickly to escape predation. This armadillo differs from the other species in that they don’t dig their own burrows, but rather find a home in abandoned ones. Although they prefer a solitary, there have been groups of up to twelve individuals sharing a burrow in the winter. They can live up to fifteen years in the wild and twenty years in captivity. I don’t know about everyone else, but I think these guys are just the cutest! Athena reminded me of a small bug, not only in appearance but in the way she quickly scurried around her enclosure as well. I also observed her nuzzle her long snout into the blankets in her pen in what appeared to be an attempt to get comfortable, very adorable! Her handler Meghan, demonstrated the ability to close into a ball and it was fascinating to be able to see how nature has a way of working so perfectly. Her head and tail closed together like pieces of a puzzle. Athena is only about three, so hopefully she will be educating and entertaining people around New England for years to come! The three-banded armadillo is listed as near-threatened due to habitat loss and overhunting for use of food. As of right now, the populations are declining and there are no significant endeavors to preserve this species, although many organizations are making efforts. The three-banded armadillo gained significant attention from conservationists in 2014 during the FIFA world cup. The species is commonly seen as a mascot for soccer in Brazil which was where the world cup was held that year. Many organizations urged FIFA to partake in conservation efforts. So you’ve been inspired to save the armadillos! The biggest thing that can be done for the three-banded armadillo is to work on rainforest conservation efforts. Their biggest threat is habitat loss so getting connected with organizations dedicated to preserving the rain forests of South America is a great start! 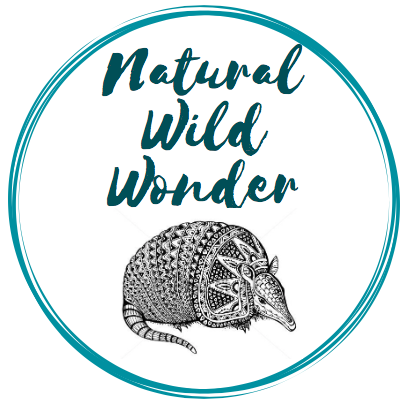 Please check out Wildlife Encounters linked below for more information and a special thanks to their staff Jenica and Meghan for taking the time to talk to me about the organization and this amazing species!